More and more, organizations today are working to change how adults are supported during program service hours. In many cases, employment in the general workforce is viewed as the preferred outcome for individuals with developmental disabilities. Understanding how to support an individual with disabilities to obtain and maintain employment is an essential component of your job as a direct support professional. In this course you will learn about why employment is important for people with disabilities and how it affects quality of life. You will learn about the types of employment that are available to people with intellectual and developmental disabilities and the way each of them work. You will be introduced to the members of a typical employment team and how they work together to support employment. 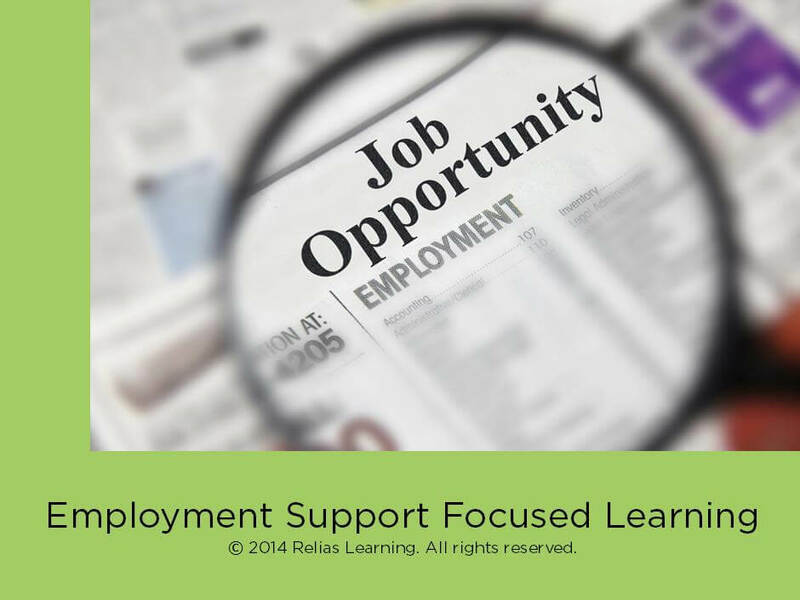 Explain the importance of meaningful employment for adults with developmental disabilities. Describe the different employment options and job seeking strategies for individuals with developmental disabilities. Recognize the different professional roles that are involved with supporting people to obtain and maintain employment. List some accommodations and supports that can aid an individual with a developmental disability while on the job.